Why is debate about Israel often so contentious? What explains Diaspora Jews’ non-religious attachments to Israel? What does Israel provide ideationally for Diaspora Jews? How are we to understand Diaspora Jews’ relationship with Israel? In this talk, Dr Baron will explore the findings from his book, Obligation in Exile: The Jewish Diaspora, Israel and Critique, and will suggest a different way to think about and debate Israel and its role for Diaspora Jews. 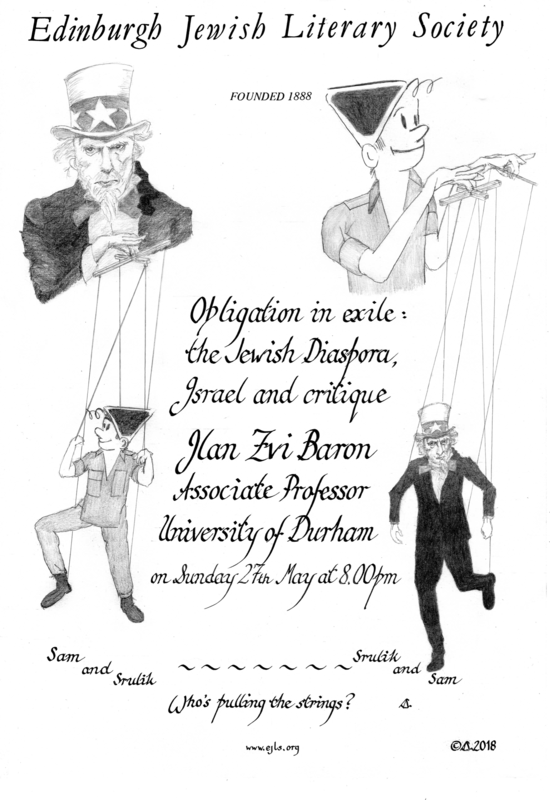 Ilan Zvi Baron is Associate Professor in the School of Government and International Affairs at Durham University, where he is also the Co-Director of the Centre for the Study of Jewish Culture, Society and Politics. He has published on International Relations theory, identity and security, the Jewish Diaspora’s relationship with Israel and the international cultural politics of Israeli cuisine. His recent books include Obligation in Exile: The Jewish Diaspora, Israel and Critique, published by Edinburgh University Press, and with Manchester University Press, How to Save Politics in a Post-Truth Era.